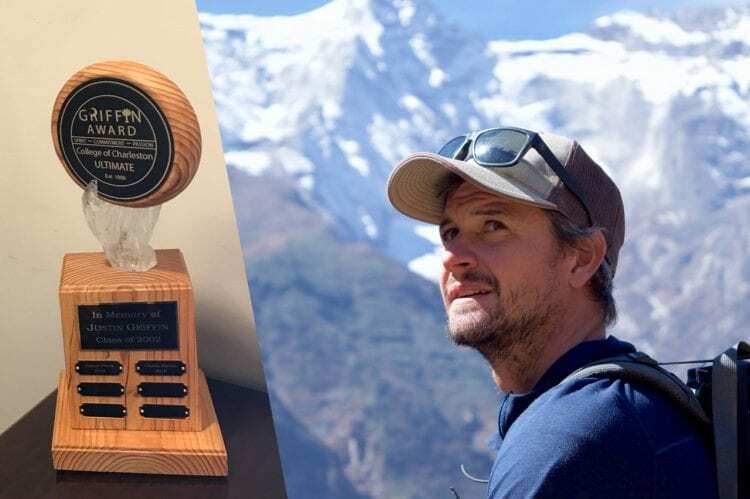 While it may not be the first thing persons think when joining a sport club, powerful connections can be formed by those who participate as evidenced by this touching tribute. Read the story about the Griffin Award on the College’s e-news site, The College Today. 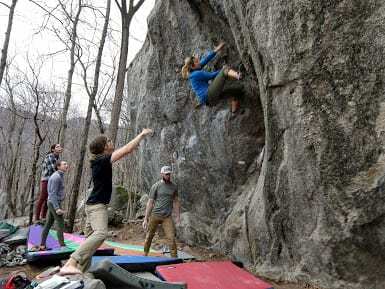 The climbing club set out Friday, February 15 for the Rumble 2019, an outdoor bouldering competition hosted by the Carolina Climber’s Coalition at Chimney Rock State Park outside of Lake Lure, NC. 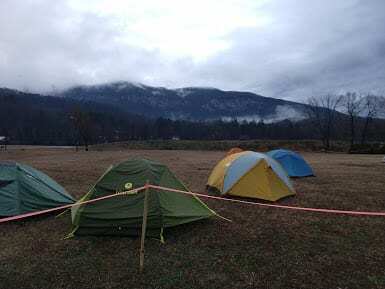 The conditions were less than ideal but a little cold and rain wasn’t going to deter our group’s high spirits. The trip included sends of some ultra classic Rumbling Bald boulder problems known as Crescent Crack, Sleeping in the Devil’s Bed, and Black Slab Right. Nothing like a weekend at the Bald to make one fall in love with bouldering all over again. Interested in climbing? Give the club a shout at cofcclimbing@gmail.com. Photos courtesy of club captain, Carly Lovas. Club member, Sarah Sneath, readies her next move on the rock. Undaunted is a term that describes this group of upbeat personalities. The College of Charleston swim club did not fold when the campus pool closed a couple of years back. 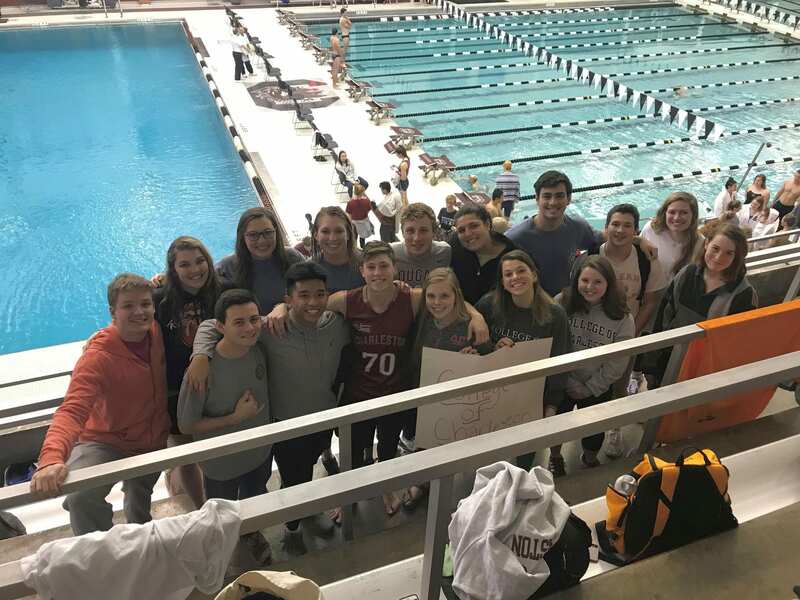 Instead, and true to form, this group found an alternative location that would permit them to continue what they love best — swimming and competing. No home pool simply means every meet is a travel weekend. The bright side is they get to go places and see the best the region has to offer. This past weekend was a short trip up the road to our neighbors in Columbia. USC has a fine natatorium and that only added to a fun weekend. Two club members were able to post personal bests as they all fight for a chance to qualify for the season ending meet. 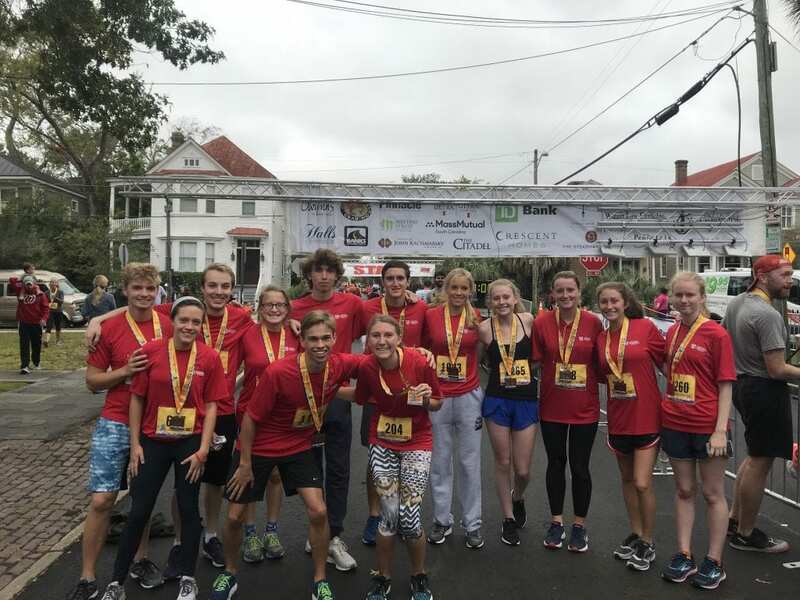 Pictured on the front row: Will McCloud, Chris Barongan, Rowan Emerson, Sarah Brown, Carly Grabner and Leah Taylor. Back row: Marshall Wallace, Rene Touma, Taylor Harkey, Allison Pegram, Bobby Carey, Zoe Daher (captain), Charles Taibi, Spencer Lukehart, Taylor Kerr and Hannah Hanes. Every so often something quite out of the ordinary appears and it is something you wish you could have. In this particular case the creation is from one of our very own. Mo Shideed ’05, who worked for Campus Recreation Services as a referee and a facility supervisor while at the College has clearly moved on to better things. I’ll have to ask Mo the next time I see him to explain just how he arrived where he is today, but first Mo another bowl of gelato, “Please!” Great to see another of our alumni making his mark. To see for yourself what Mo has created, visit his shop here. All wrapped up in one tidy place you will find a listing and photos of last semester’s intramural champions, notes about our sport clubs, along with a glance at the spring schedule of activities and our hours of operation. Assistant director, Freddie Lipata, is the newsletter’s editor. Give him a shout out if you enjoyed looking through this issue. 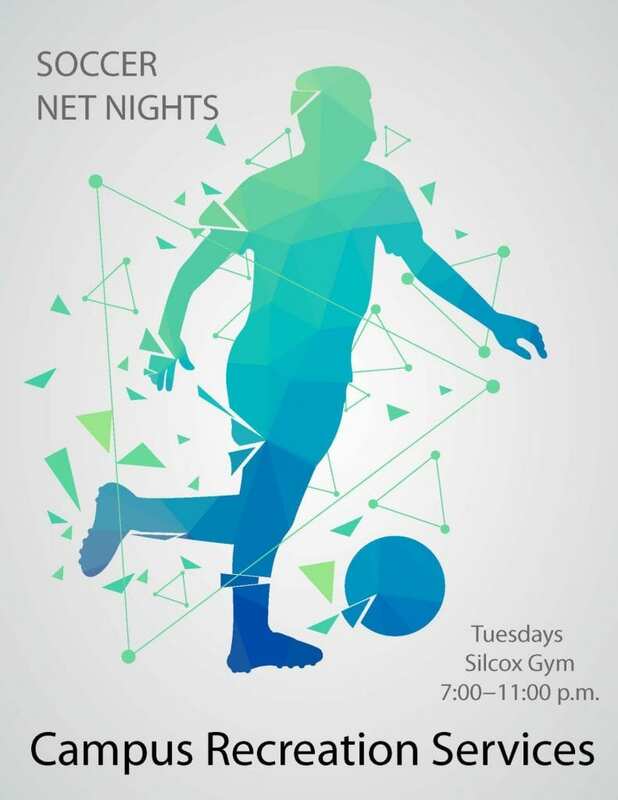 Join in on the popular Tuesday night series Soccer Net Nights. All players who show up are able to jump in and play in the short game segments that are set up. Games start at 7:00 p.m. and run until the fun is done, sometimes as late as 11:00 p.m. For more information, call us at 843-953-5559. 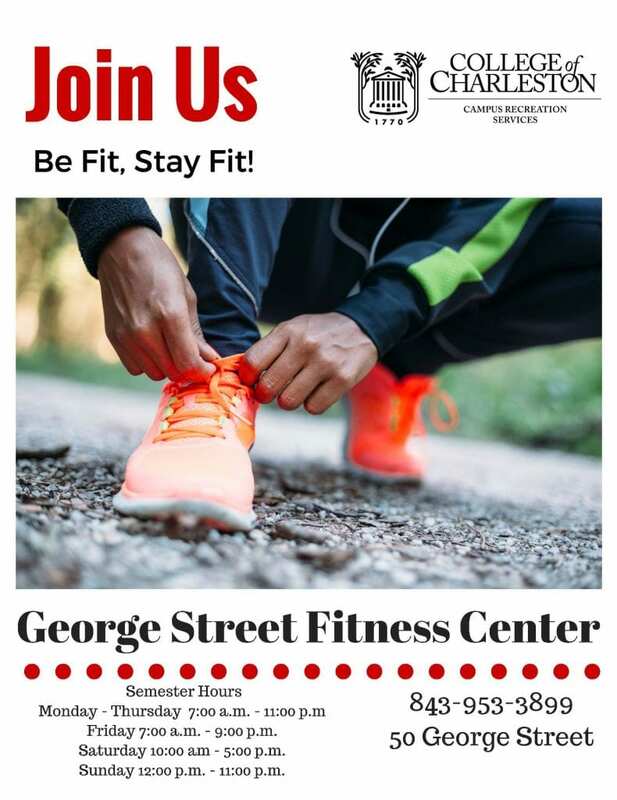 Both the George Street Fitness Center and the Johnson Gym will re-open on Monday, January 7 for their usual operation schedule. College of Charleston versus The Citadel, October 19. Result: College of Charleston 31-21. Matt Rockefeller was named “Man of the Match”. College of Charleston versus the University of North Carolina, October 21. Result: College of Charleston 19-14. Max Bisaha was named “Man of the Match”. 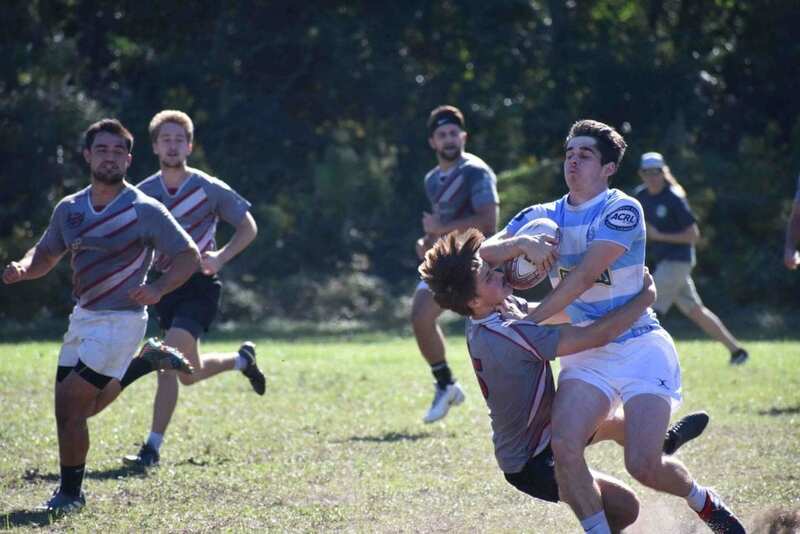 The College’s club team jumped out to a 5-0 record to start its season. Difficult competition lies in wait the remainder of the season. GO COUGARS! Max Bisaha finishing a tackle! Other Cougars, l. to r. are Alejandro Vega, Brad Lundy, and Anthony Sinicropi. 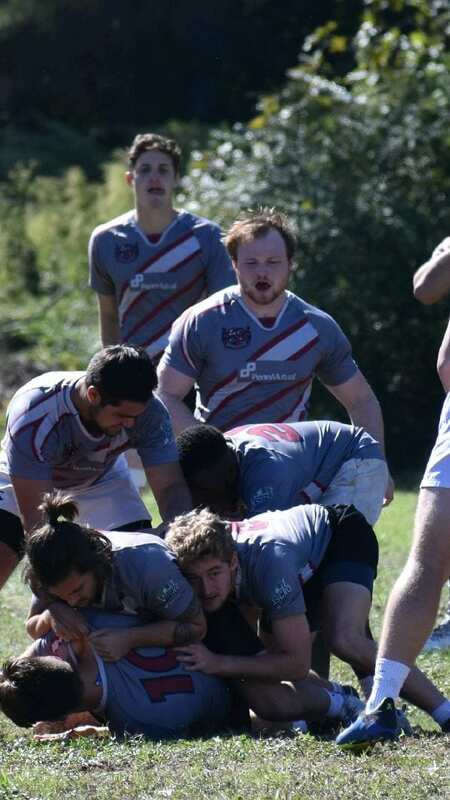 Front and center is “Man of the Match”, Matt Rockefeller. Nick Shaw (on top of #10), Brad Lundy (immediate right), Alejandro Vega (above Nick), Jay Greenlee (right of Alejandro), and Jackson Hutchison (in the background behind Matt). 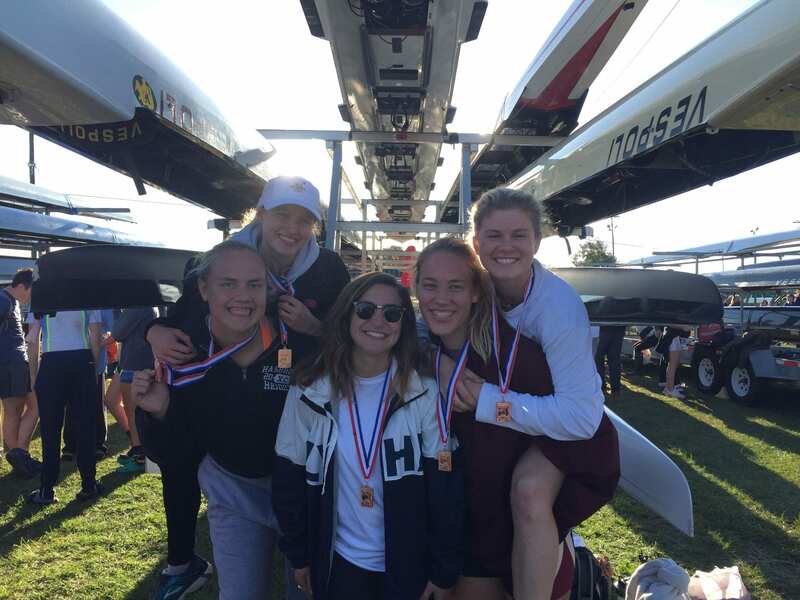 Pictured left to right: Gabi Tutelo, Mary-Britt McDonald, Allison Hansen, Ally Lesher, and Kelsie-Blake Weeks. 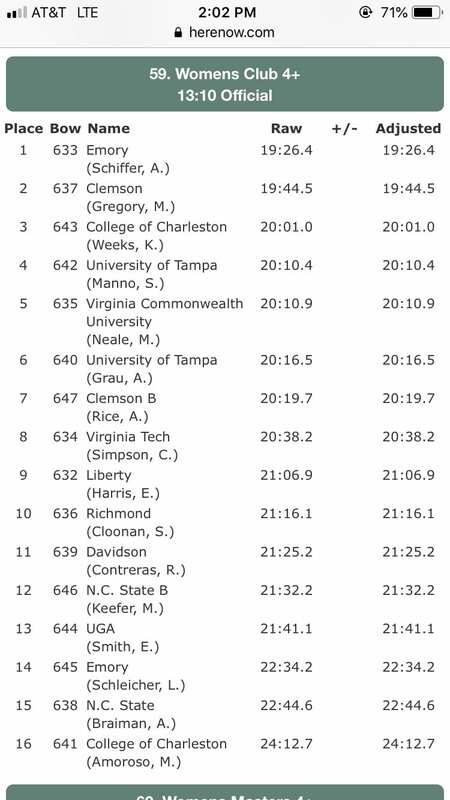 Program Note: The men’s novice team placed 5th out of 25 boats in their first regatta ever!